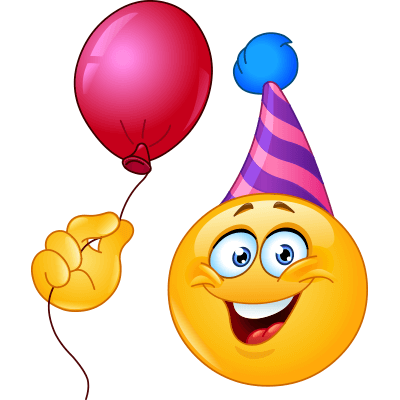 Celebrate a special occasion like a birthday with this fun and festive smiley. This bright smiley will make your message or status update stand out. Don't miss a friend's birthday or a family member's anniversary. Share this image whenever you want to celebrate on the social network.